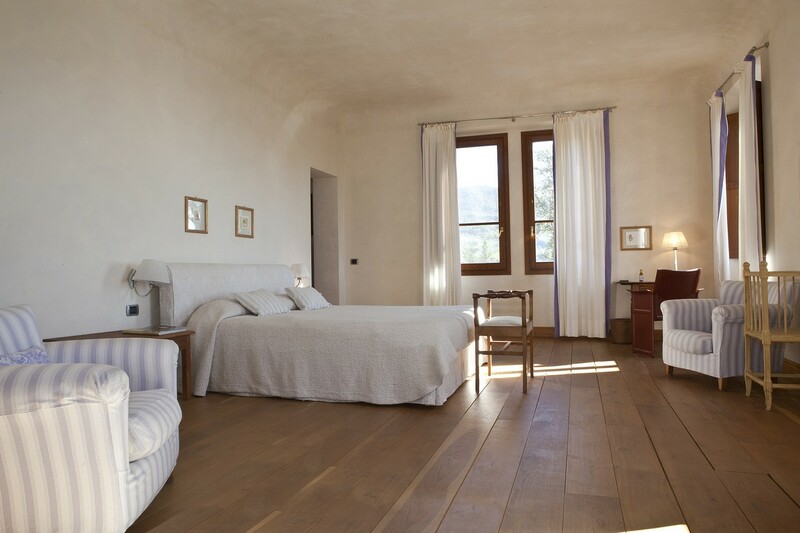 This is one of Campolungo's most popular rooms. 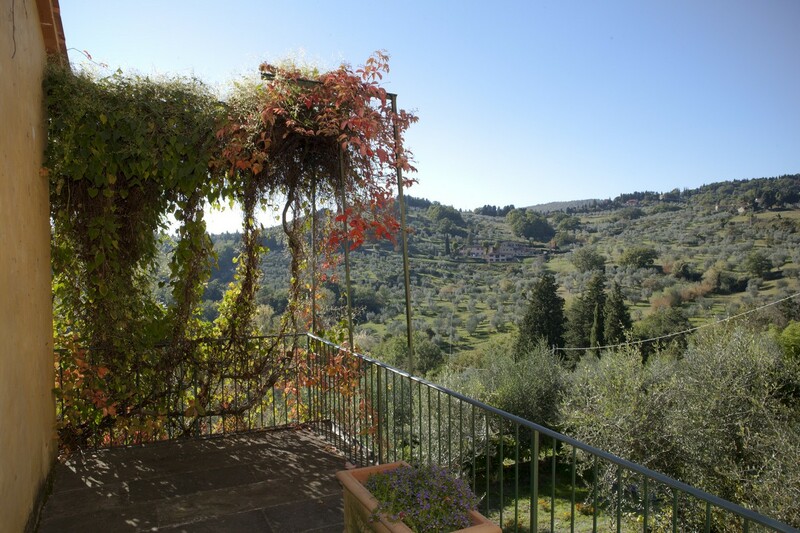 It has a remarkable amount of light and a 180-degree-view of the countryside. 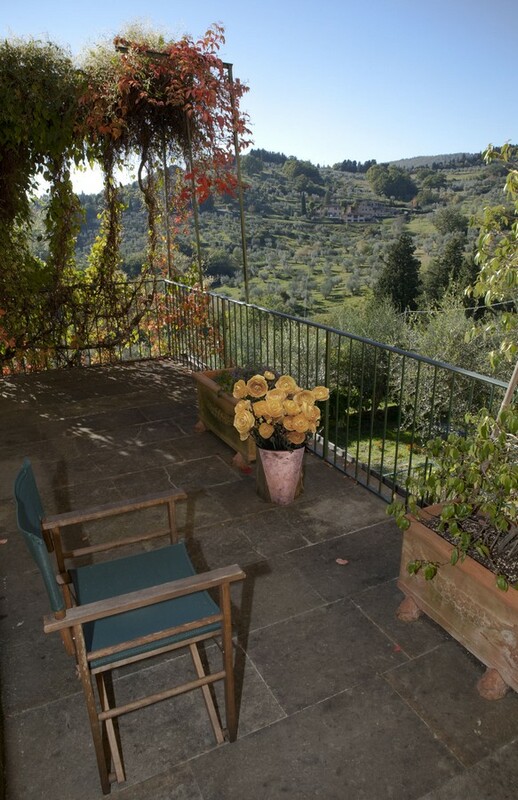 The Annexe has a panoramic terrace, a great spot for breakfast or to read. 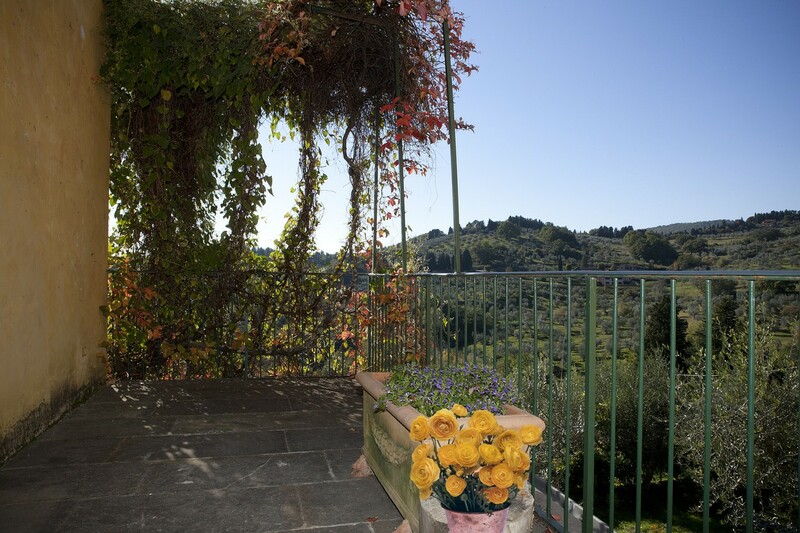 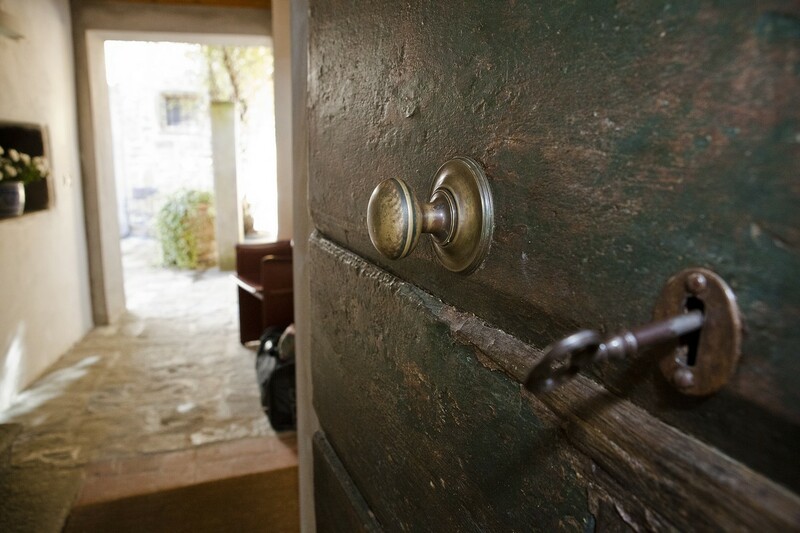 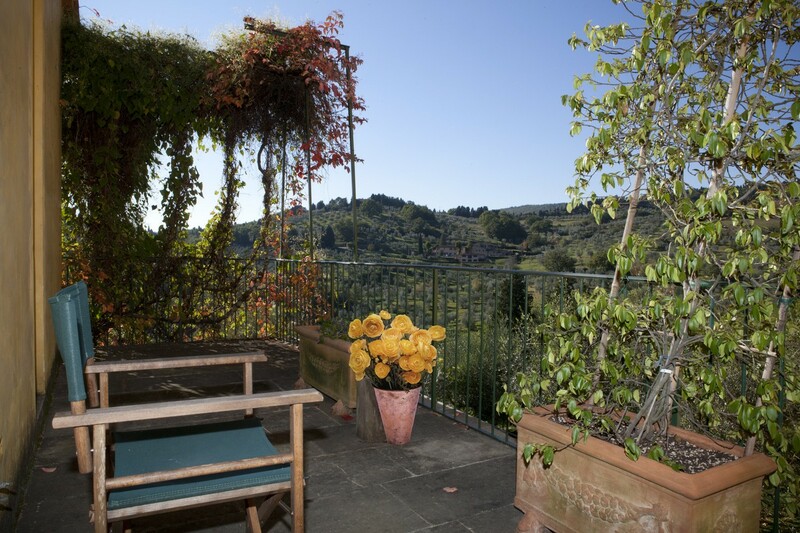 From here you can enjoy the views over the Tuscan hills and the garden of Villa di Campolungo. 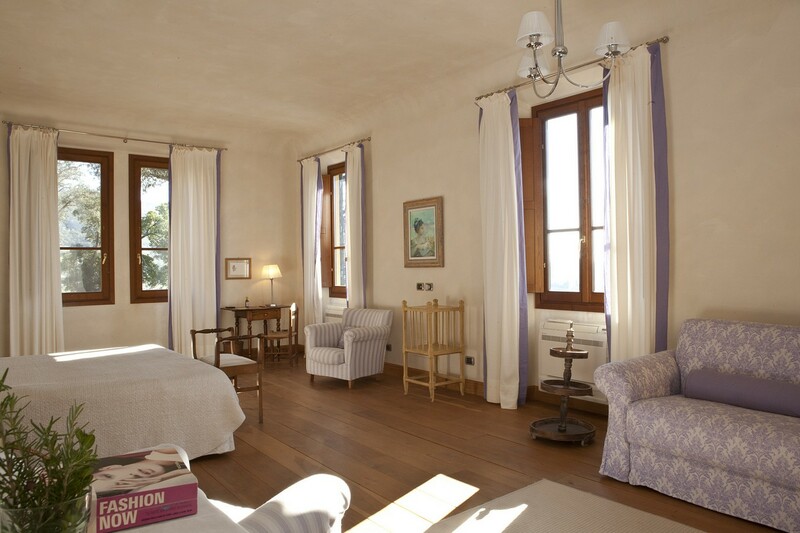 The wooden floors, and lavender colours make this room feel warm and inviting. 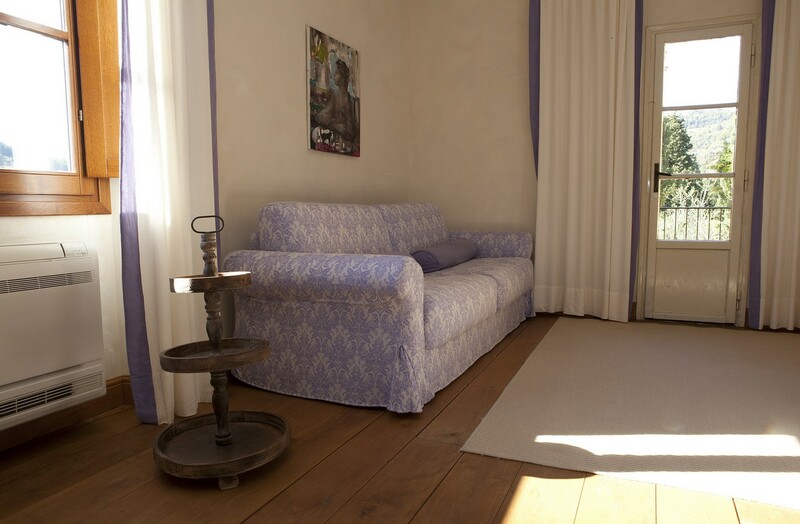 The sofa pulls out to create additional bedding space. 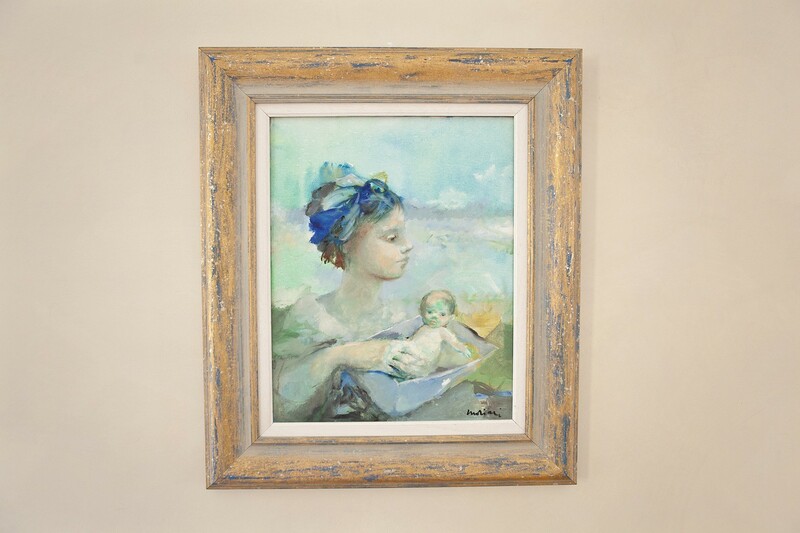 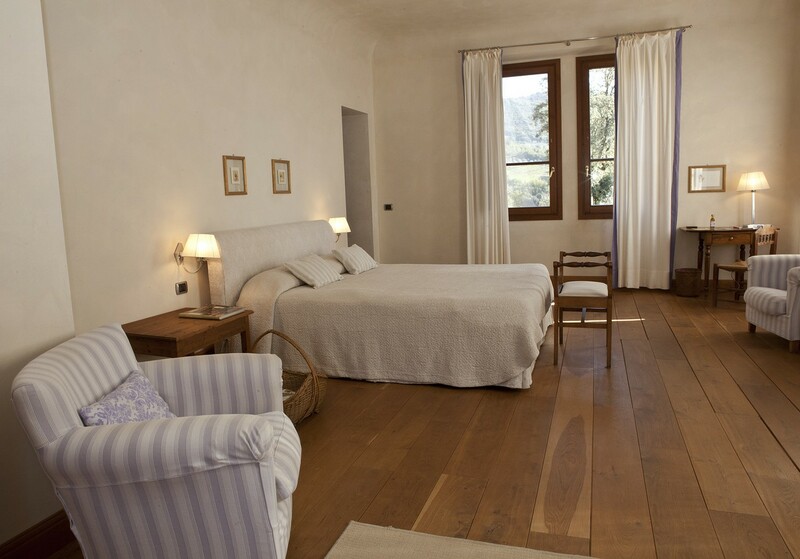 We can also add a cot for small children. 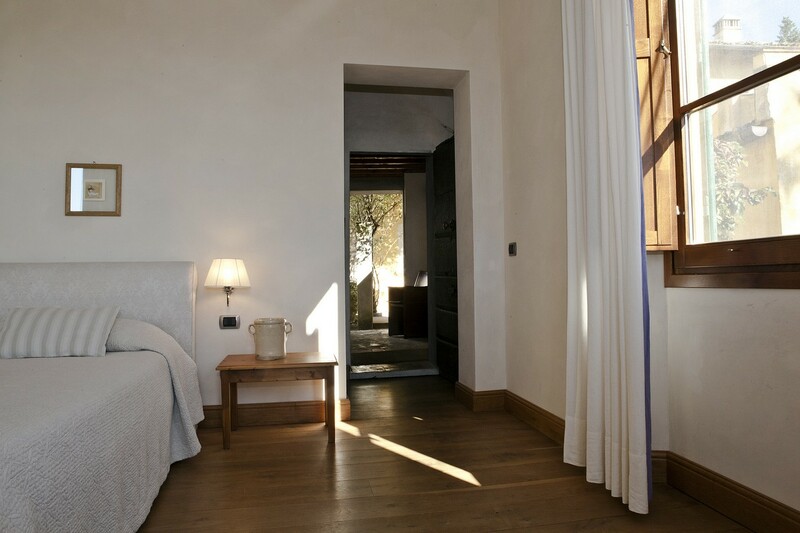 The rooms sleeps up to 3 adults or 2 adults and 2 children. 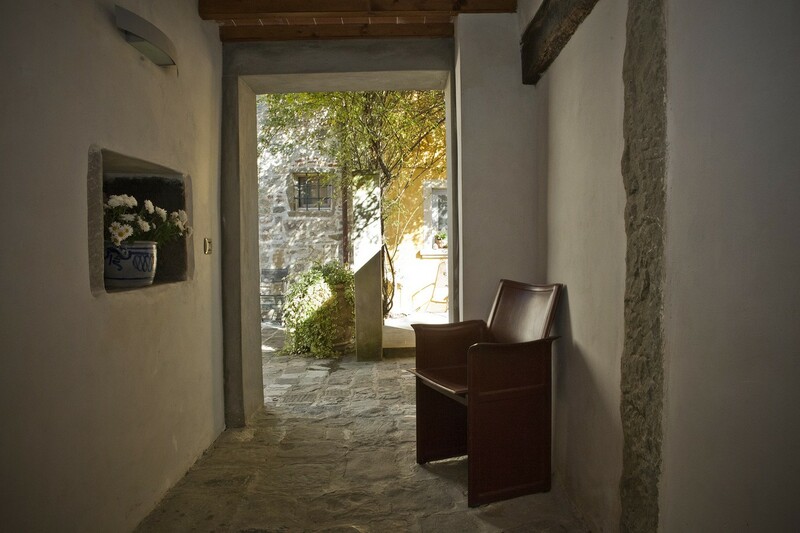 There are a desk, a small international library and free WiFi connection. 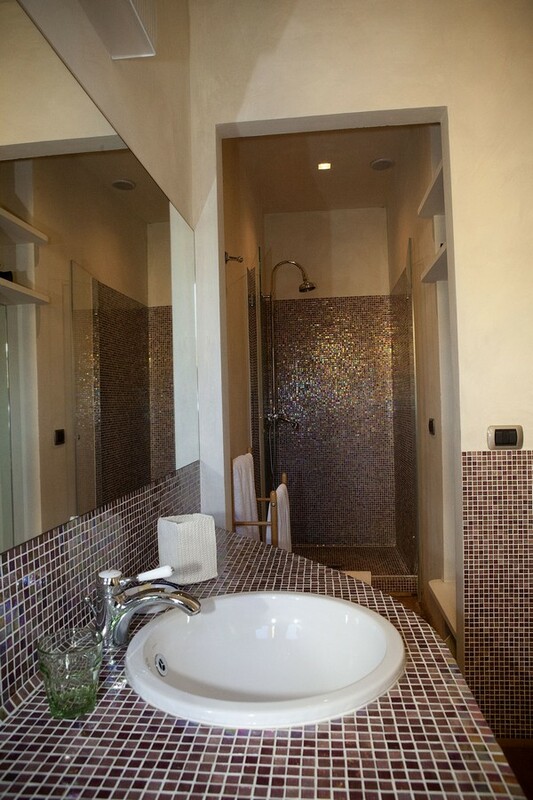 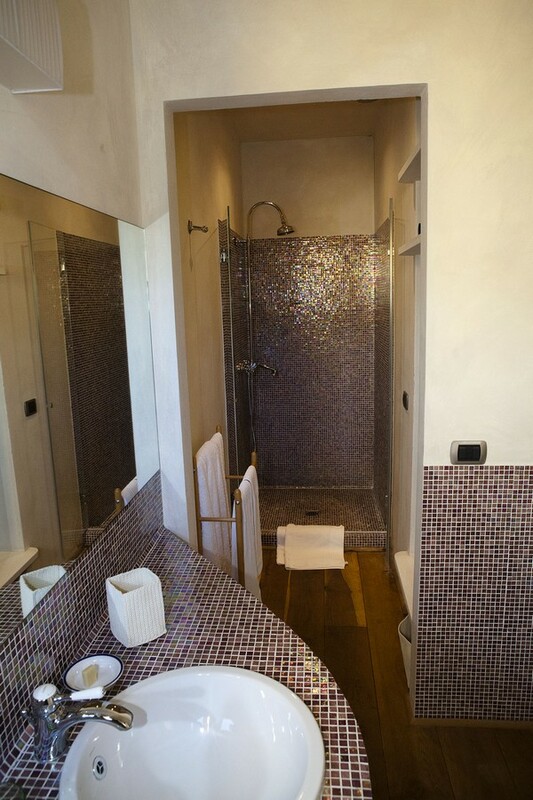 The bathroom has two sinks, set with mosaic surrounds. 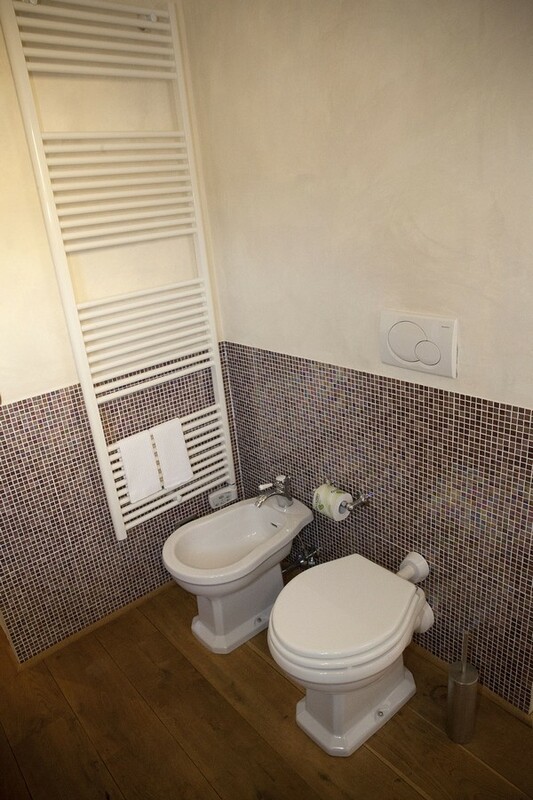 We have a towel warmer and a hair dryer for your comfort and convenience. 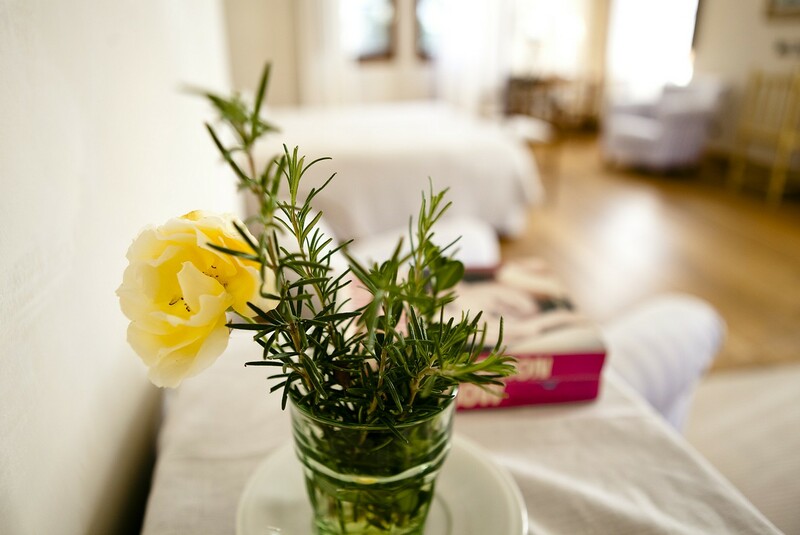 You will find complementary eztravirgin olive oil handmade natural soap and shower-shampoo. 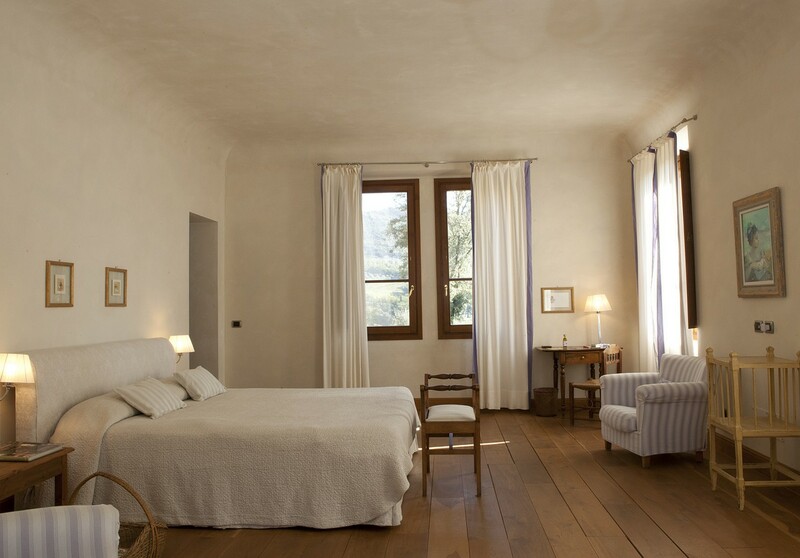 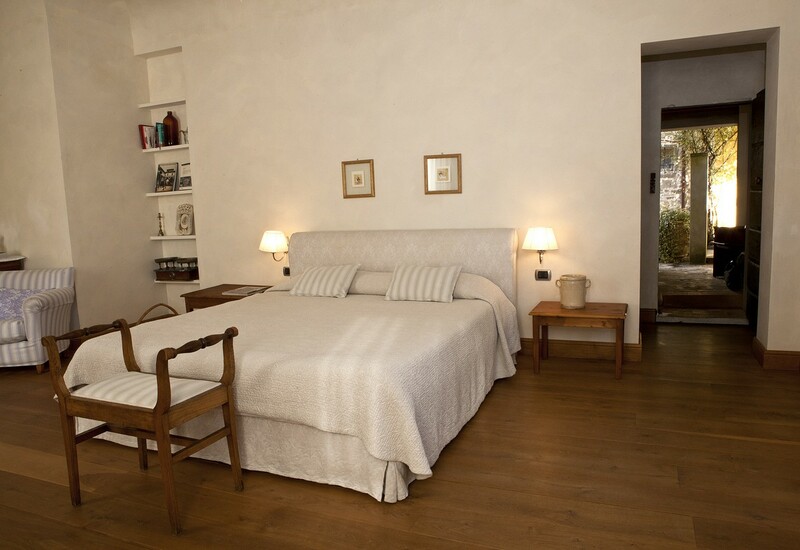 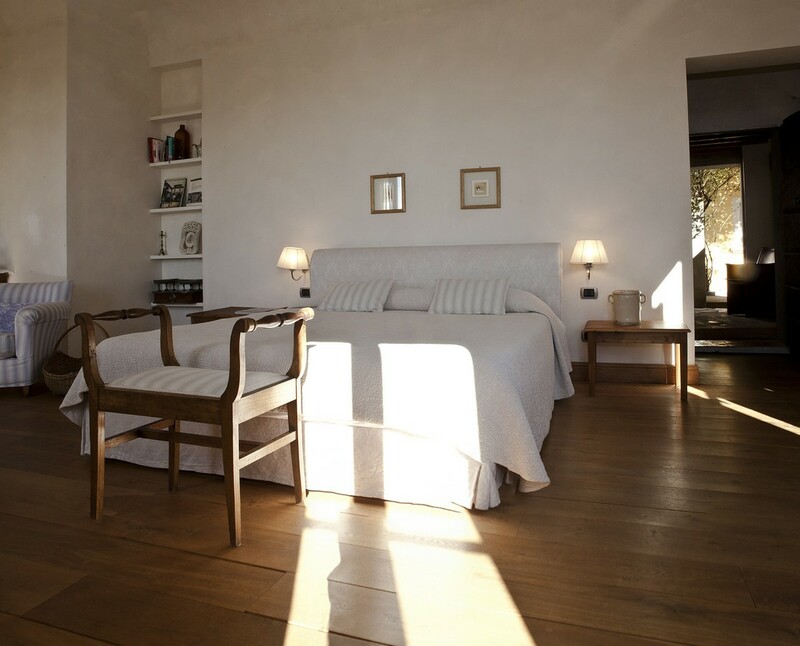 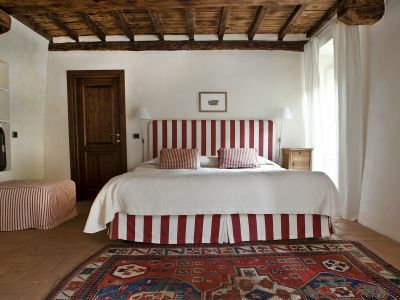 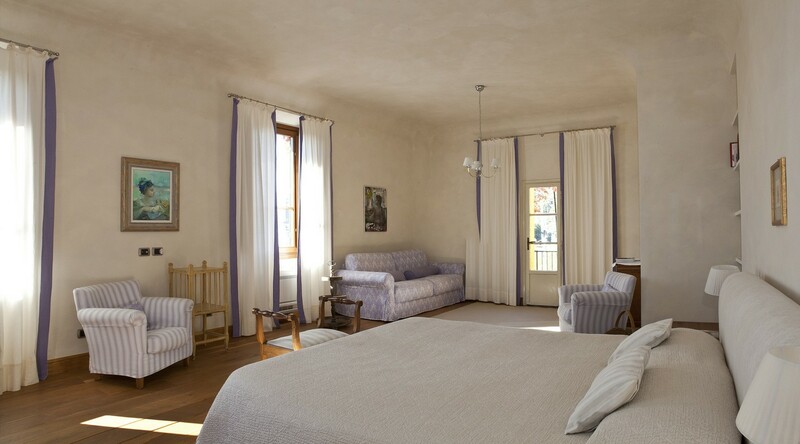 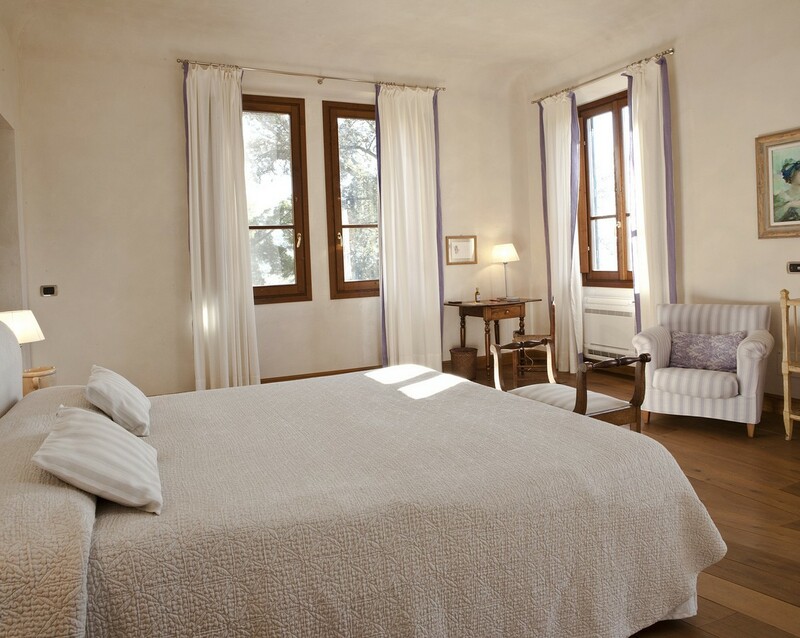 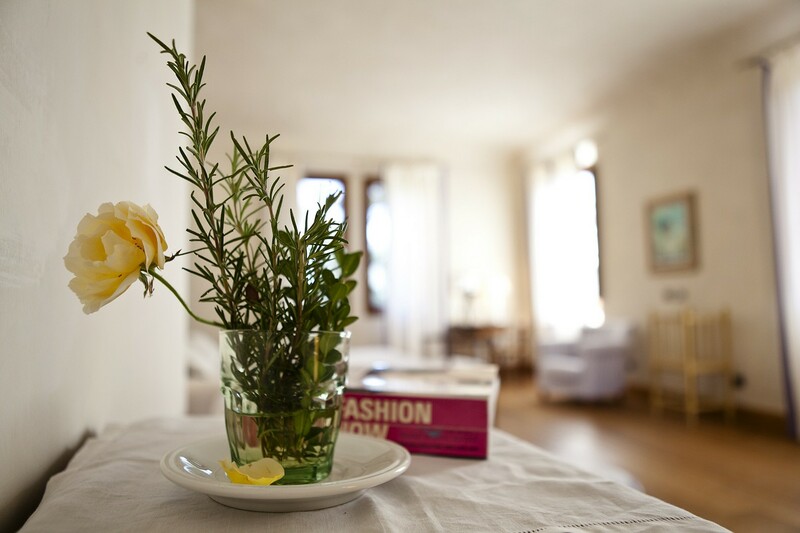 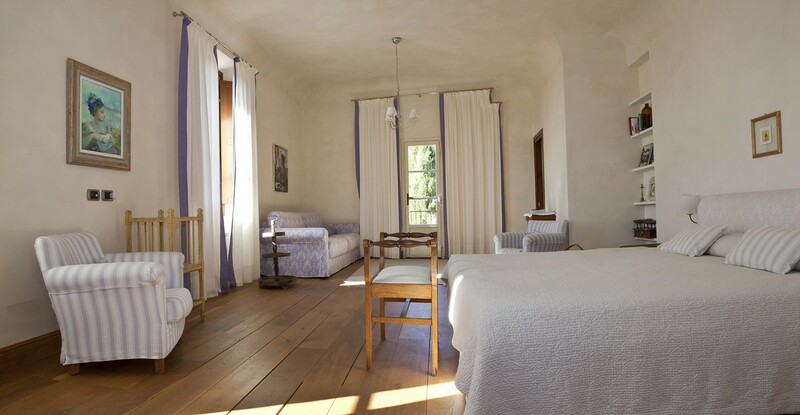 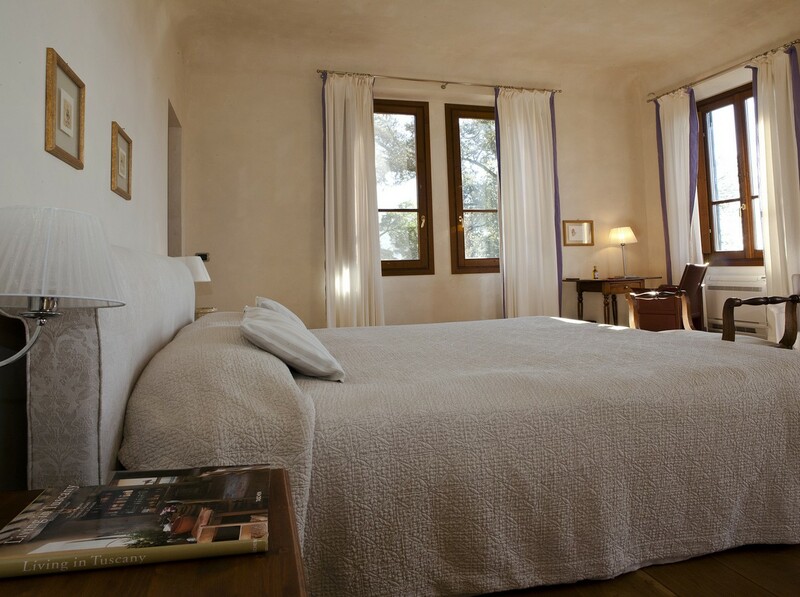 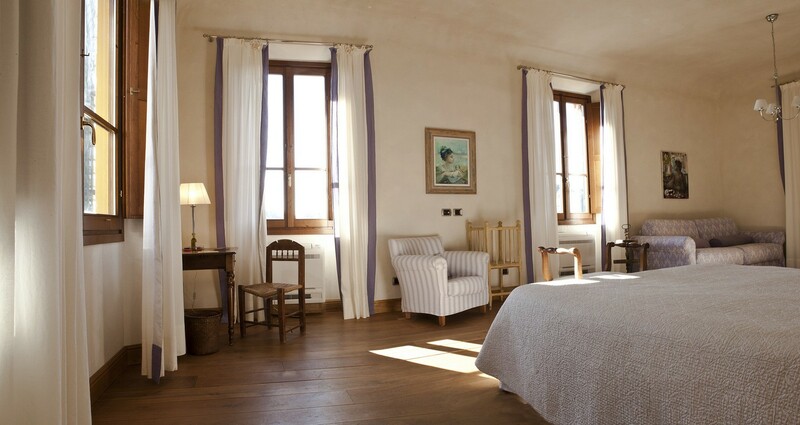 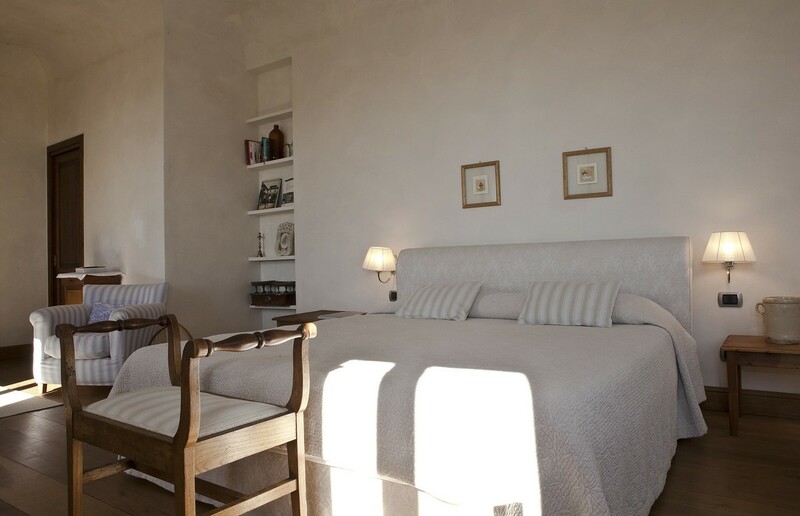 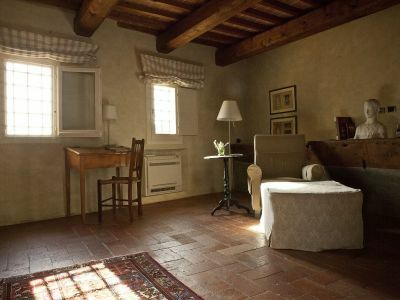 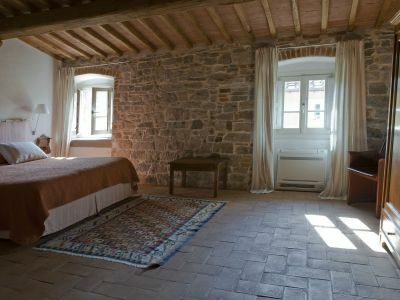 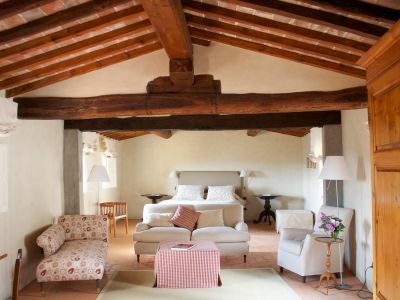 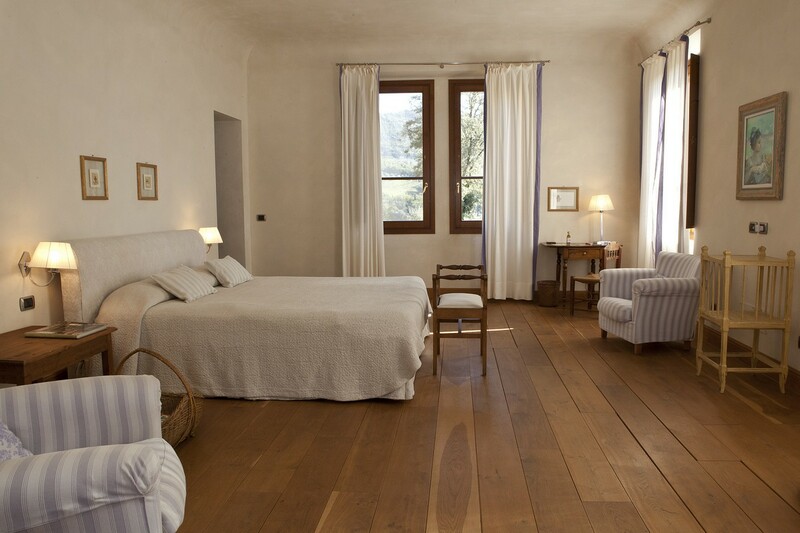 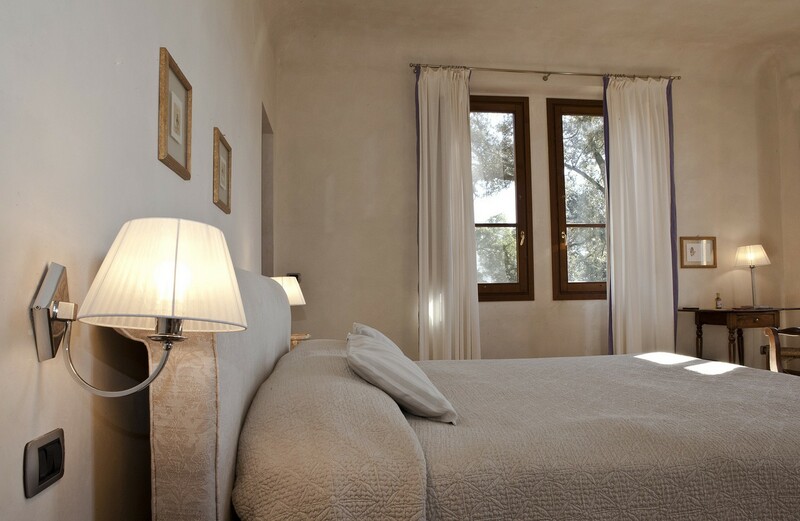 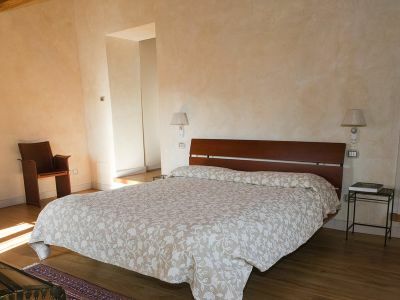 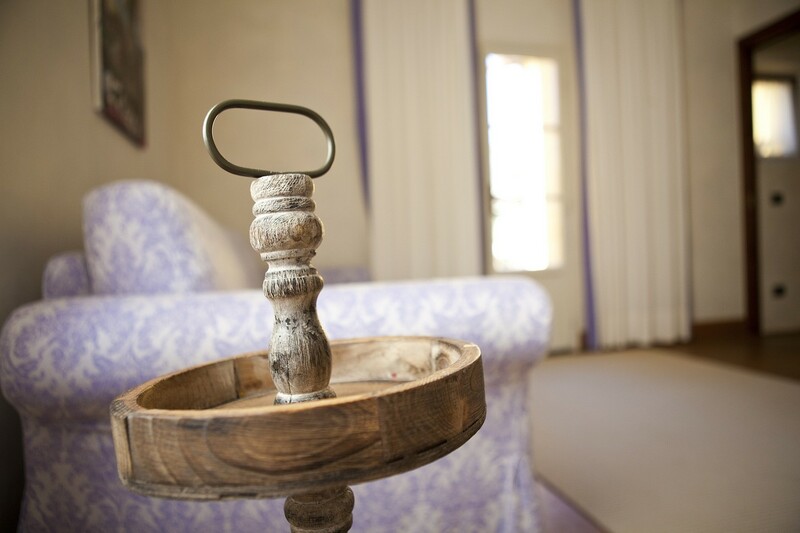 It is one of our most charming, spacious and romantic rooms at Villa di Campolungo.